Everyone needs a holiday, but it can be difficult to find the cash in these austere times. Trying to save money doesn’t have to mean a cold caravan in the Outer Hebrides. The sun might have been out recently, but it was beset with clouds and rain. A trip abroad is the only way to guarantee that the sunny weather stays around long enough for you to get a suntan. 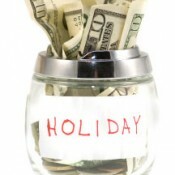 An easy tip is to book a holiday off season. Going away in the summer holidays might be easier if you have kids, but if you don’t, why not go in June or September? The weather is still hotand you aren’t paying the premium prices that come with the mass exodus of the school holidays. Another pro-tip is to book your holiday at the last minute. Hotels and flights are desperate to fill up to capacity and so will slash their prices at the last minute to try and get 100% occupancy. Try booking with a budget airline to ensure that you get the best deal for your low cost flights abroad. You may be used to staying in a hotel and having your holiday mapped out by your holiday rep, but a DIY holiday means that you can plan to see exactly what you want without the boring bits. Invest in a good guide book, or if you are just going away for a short trip, borrow one from your local library and plan your trip around the sights that youreallywant to see. Trips for events can be a great way to immerse yourself in the culture of another country. For example, there are some great music festivals happening on the continent for a considerable amount less than the festivals in Britain. Before you go away, figure out how much you want to spend each day and stick to it if you can. Currency is much cheaper at home, and by budgeting, you can keep a close eye on how much you are spending. By all means take your debit or credit card, but keep it looked in the safe at the hotel for emergencies. While you are away, try not to use your mobile phone. If you want to talk to home, find a coffee shop with free WiFi and communicate via Facebook, whatsApp or Skype. If you are visiting Europe, make sure you take your EHIC card with you. They are free and can get you free or discounted medical care if required in countries in the European Union.